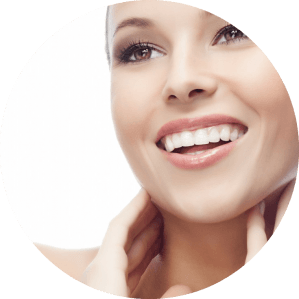 PrecisionTx – Precision Laser Treatment gives you a defined look without a surgical face-lift! You can now enhance your look with a new one-time, one hour minimally invasive laser procedure in the comfort of your doctor’s office. 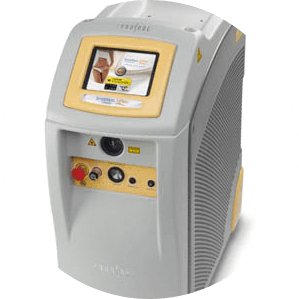 The PrecisionTx laser enables minimally invasive treatment of smaller areas. Top treatment areas include the neck, jowls and jawline as well as ablation of axillary sweat glands. is known to stimulate collagen production in the dermis which leads into improved skin elasticity, thickness and texture. This minimally invasive procedure, called a “Laser Face Lift” or “Lazer Lift” by some, is one of the top beauty breakthroughs of 2012 and 2013. Developed by Cynosure, makers of Smart Lipo and Cellulaze, Precision TX, was designed to lift and contour the lower face and neck through laser lipolysis, skin tightening and collagen stimulation. The instrument used to create this contouring and fat removal is a very small side emitting laser specifically designed for small areas like the face and neck. The result is a sculpted, firmer, more youthful looking jawline and neck, like “shrink wrapping the face” says Dr. Diktaban. Initial results can be seen a few weeks post-procedure with full results at 3-6 months. 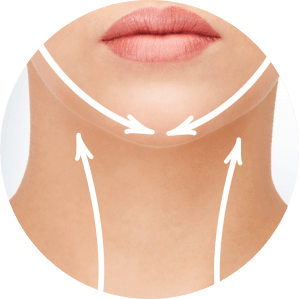 If you have jowls, extra fat under your chin and/or loose skin on your jawline or neck, Precision TX (Sidelaze) may be the solution for you. How does PrecisionTx treatment work? The treatment area is numbed and tiny incisions are made to fit a very small cannula with a laser fiber, about the size of the tip of a pen, underneath your skin. Thermally controlled laser energy is delivered to the treatment area to stimulate collagen production in the dermis. As the area is numbed with local anesthesia, there is minimal discomfort during the procedure. Like any other minimally invasive procedure, you may feel a light pressure during the treatment and some soreness afterwards, which will resolve rapidly. The procedure takes about one hour and is performed in your doctor’s office. PrecisionTx is a one-time treatment and provides lasting results. You will be able to return to your normal activities in a few days. Q:How does PrecisionTx procedure work? Q:What does the procedure feel like? Q:How long does the procedure take? The procedure takes about one hour and it is performed in Dr. Simon’s office. Q:How often does the procedure need to be repeated? Q:How much does the procedure cost? PrecisionTx is a very precise and individualized laser procedure, and the price varies depending on the size of the treatment area. Dr. Simon must see the prospective patient first, and a quote will be provide immediately following the consultation.